Infants are often dubbed 'young scientists' because in order to survive they need to find out about the world around them as quickly as possible. Some who never lose their childhood curiosity go on to become adult scientists. 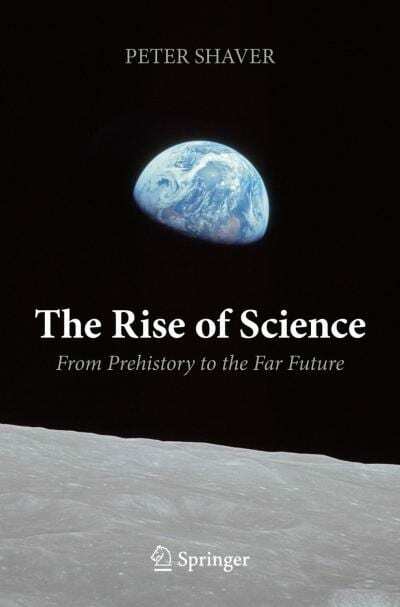 The Rise of Science charts and discusses the body of scientific knowledge that humanity has accumulated – certainly one of our greatest achievements. Our ancestors just a few hundred years ago had no idea what matter is made of or what lies beyond our solar system. Electricity was just a curiosity and the atom was speculation; a smartphone or space shuttle would appear to be a miracle. Over the long history of our species scientific development was minimal. Even when the first major civilisations arose about 5000 years ago, people did not pursue a rational study of the natural world. However, two fundamental steps in the rise of science made a transformation possible. The first occurred in ancient Greece around the sixth century BC, when individual thinkers began to contemplate the world based on natural (rather than supernatural) causes and what could be observed and measured. Peter Shaver says: "The shift from a religious worldview to a scientific one was radical and revolutionary. We are used to thinking this way now, but it was an astonishing breakthrough that happened only once over the history of mankind." The second fundamental step was the Scientific Revolution of the 16th and 17th centuries in Europe. Copernicus proposed that the Sun, rather than the Earth, is at the centre of the universe. Galileo confirmed this 'heretical' view, and Newton combined the new astronomy and physics into one grand synthesis, showing that the world is ruled by the immutable laws of physics. Modern science was born. In addition to describing the origins of science, this book explores the serendipity, blunders, triumphs, disagreements, setbacks and collaborations that have featured throughout the history of science. It considers the relationship of modern science to technology, society and religion, and the benefits and perils of science. And it also looks to the future. Could our cherished knowledge ever be threatened again? What is left to discover? Will our own creations someday take over from us? Now retired, Peter Shaver was a senior scientist at the European Southern Observatory (ESO), Munich, where his research interests ranged from our galaxy to distant quasars and the reionization of the universe. He served as President of the International Astronomical Union's Division on Galaxies and the Universe.